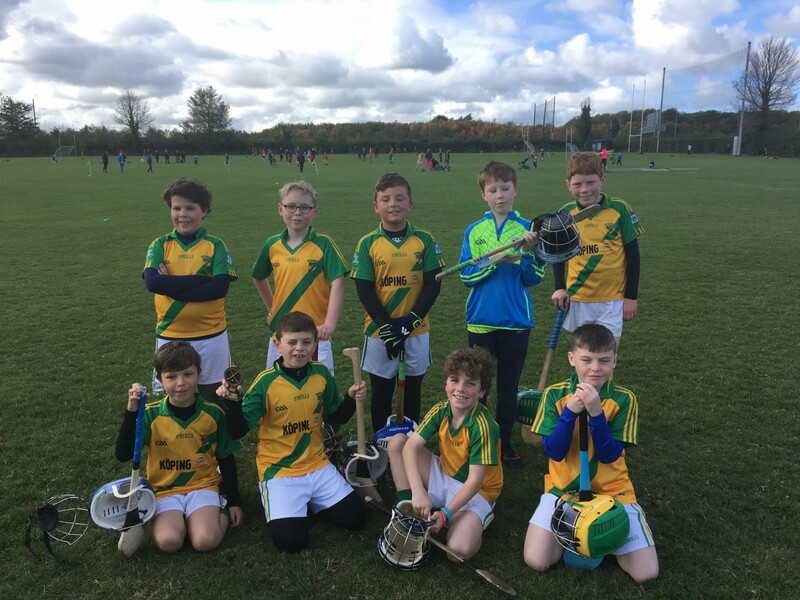 The U10 squad fielded five teams on Saturday 6th Oct in the last home fixture of the season with close to 80 participating across the three clubs FAUGHS, SCOIL UI CHONAILL and NEAMH MEARNOG. 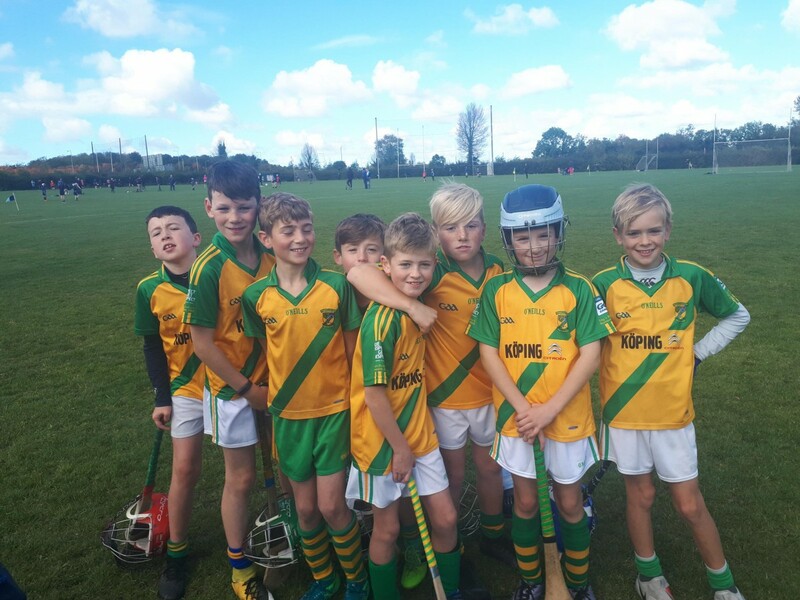 Conditions were ideal for hurling and the matches were closely contested across the groups. It was pleasing for the mentors to see the huge improvement in skills and game awareness since the start of the season, and reflects all the work done through the year. It was picked up on by the FAUGSH TWITTER account holder in attendance, and who used the word ‘mighty’ in the tweet! All arrangements went very well on the day with numbers well balanced, and the visiting clubs appreciated the welcome and the competition. 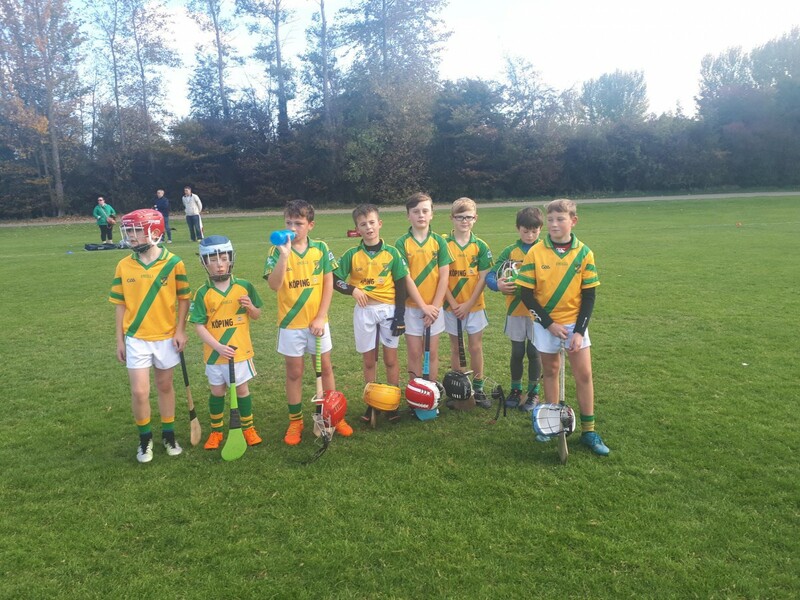 Well done to all for the performance levels, and particular well done to the MOTM winners who were excellent on the day. 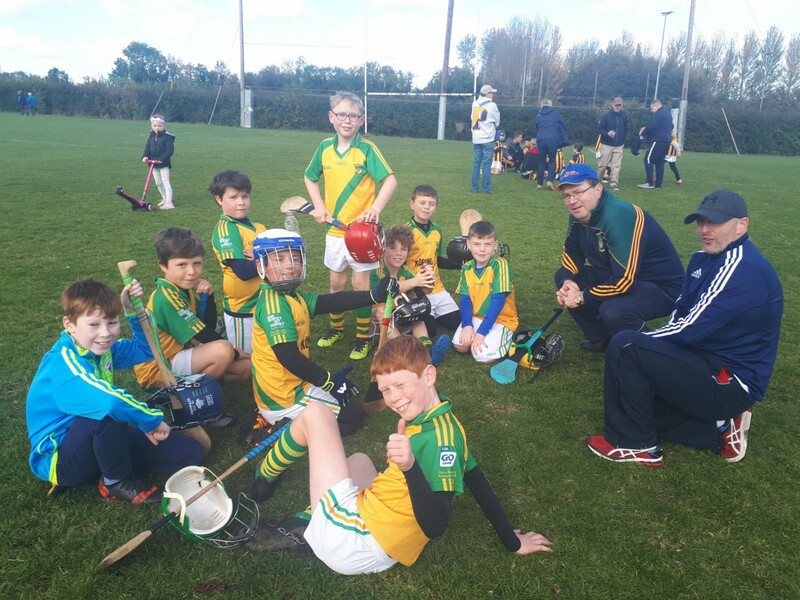 Jake Murphy-Best, Cillian McGettrick & Tom Roche vs Naomh Mearnóg.